Brighton’s largest park certainly could never be described as under-utilised. From lightshows and circuses to Party in the Park and Pride, there’s normally something going on in the 63 acre Preston Park. Before the Domesday Book was compiled, the Bishopric of Chichester owned the original Preston Manor which was set on a vast estate. William Stanford used his inherited fortune to buy it in 1794. His estate included everything between the Manor and what is now Grand Avenue on the Hove seafront. At his death in 1841, he was said to be the richest private individual in Sussex which is not surprising bearing in mind the potential of his land. The bulk of the estate was left to his eldest son, also William, who, like his father, did not develop it. The land was then left to the younger William Stanford the younger’s daughter, Ellen. The Stanford Estate Act was passed by Parliament in 1871 which allowed her to sell off portions of the 1,000 acre estate. Brighton Council purchased Stanford land in 1883 to create a park using £50,000 from a bequest from bookmaker William Davies. This was considerably more than the 1876 asking price of £30,000. £22,900 was then spent on the transformation of the meadow land which included landscaping, tree-planting and building paths, tennis courts and bowling greens. Preston Park, Brighton’s first public park, opened in 1884. Interestingly, Hove Council followed the lead and bought 40 acres for £14,600 and opened Hove Park, originally known as Goldstone Bottom, in 1906. In 1928, there was a substantial remodelling of Preston Park and its perimeter railings were removed. I’m particularly fond of the Clock Tower which was built 1891 and paid for by Edward White. Francis May’s intriguing design using lots of different materials arranged in a variety of styles invites discussion and deserves a column of its own. Opposite Preston Park is the Rockery, sometimes called the Rookery, which is a stunning ornamental garden with great views. A number of fine villas around Preston Park had been constructed by 1885 and many stunning examples still exist though there are at present some pretty awful buildings on the Preston Road side. 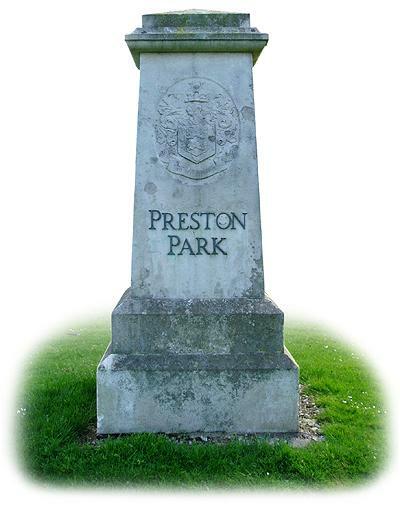 Brighton & Hove is blessed with some wonderful parks and Preston Park is arguably the finest. However, I will only be truly happy once I have managed to demolish the awful buildings on its west side. One day!